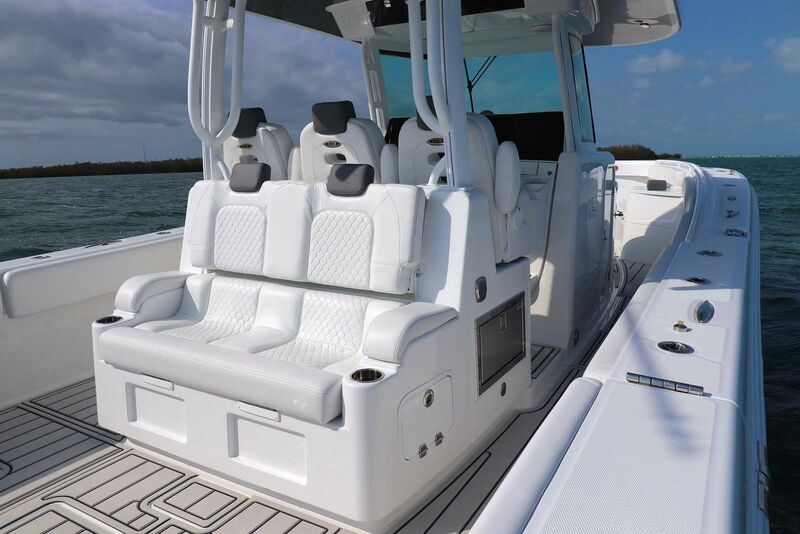 The latest in the HCB Center Console Yacht lineup, the 2019 Speciale is an athletic masterpiece in design and innovation with its striking exterior and beautifully finished interior. 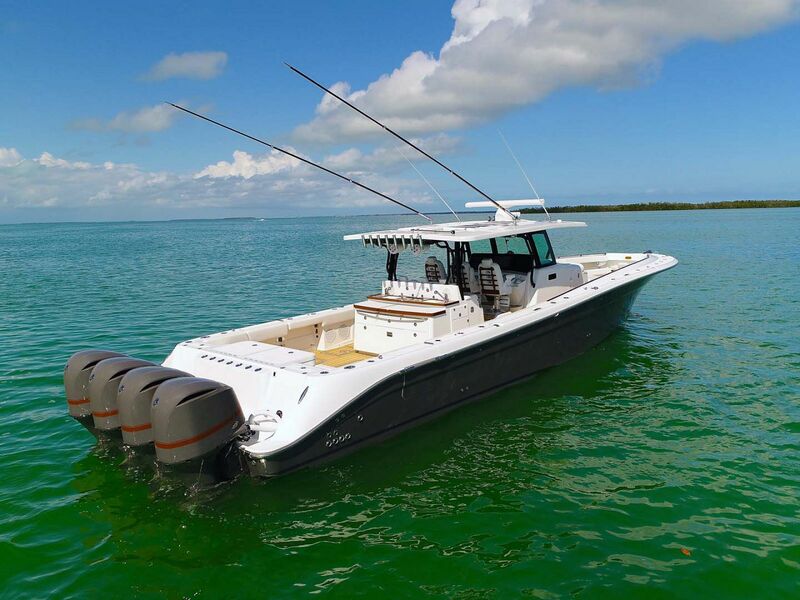 Designed after her bigger sister, the Sueños, no stone was left unturned or detail too small. 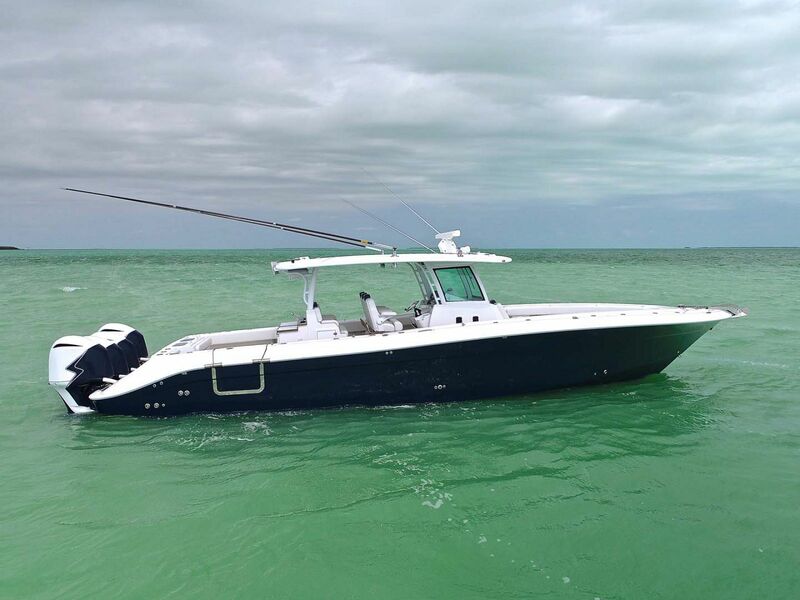 At 39′ the Speciale is a center console yacht designed to be powered with multiple engine configurations to accommodate the diverse requirements of anglers and cruisers worldwide. 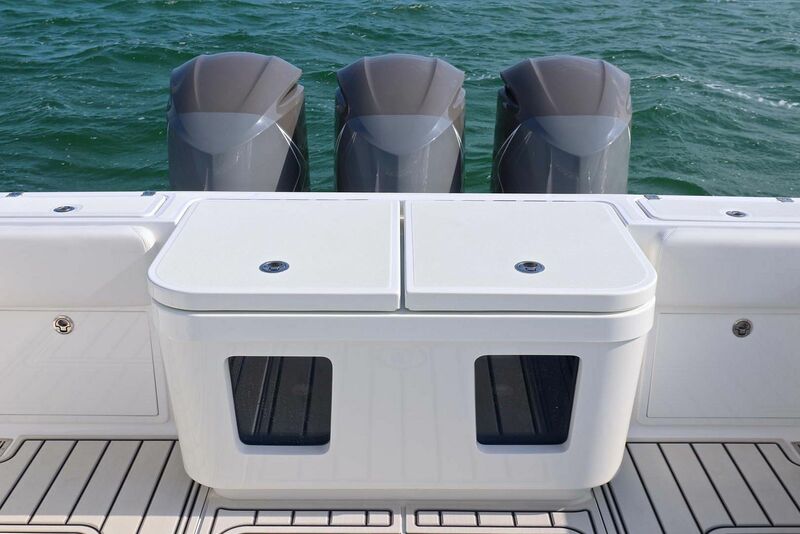 The bow deck can be outfitted as a pure open fishing platform or with seating port and starboard, including the additional fish boxes. The cabin accommodates a separate head and shower, along with a stateroom that comfortably sleeps up to two adults. 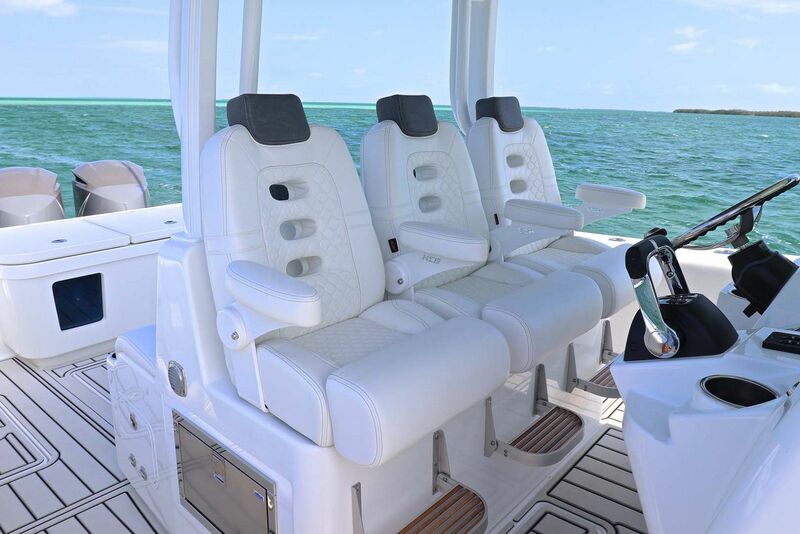 From cabin to cockpit, luxurious soft touch upholstery abounds providing a refinement not seen in other 39 footers. 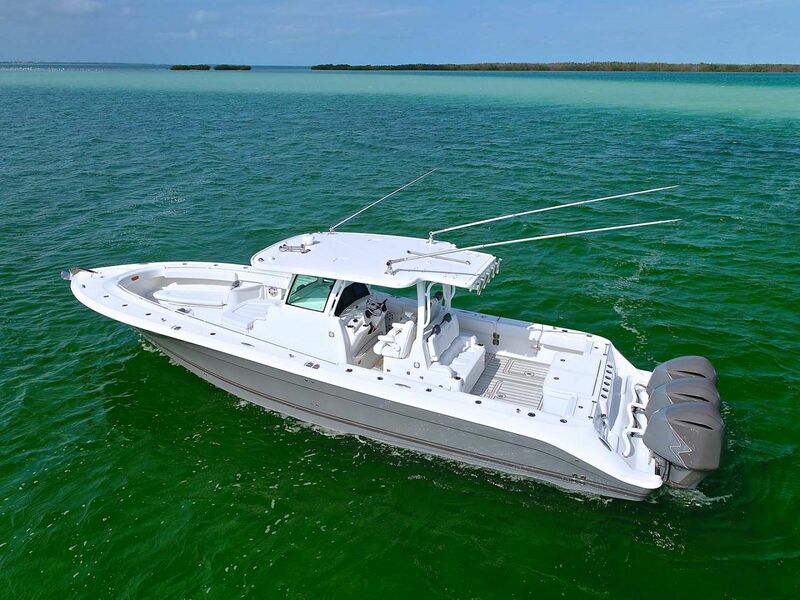 New options for 2019 Speciale, includes our yacht tender package that turns your 39 into a socializing platform, or opt for the fishing package to amp up your fishing game. And if these packages don’t provide you with the customization that you need, pick from a long list of new and improved options. 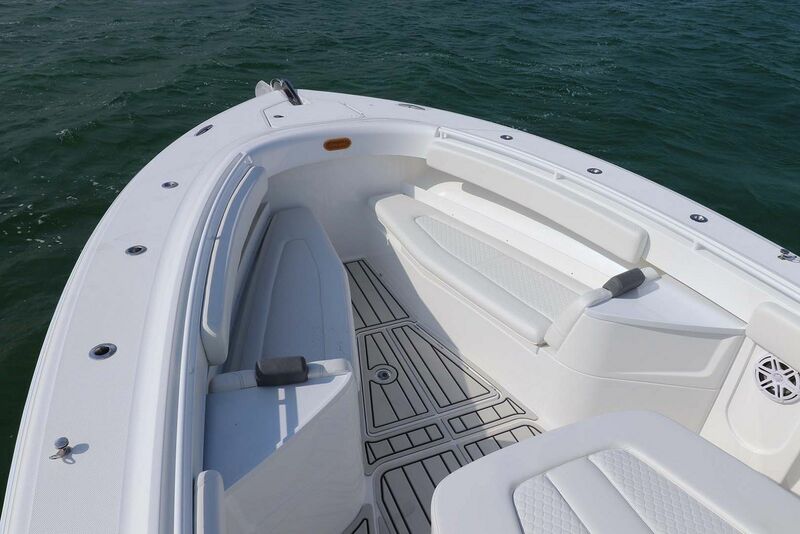 The Speciale is so much more than just a high-end fishing boat. 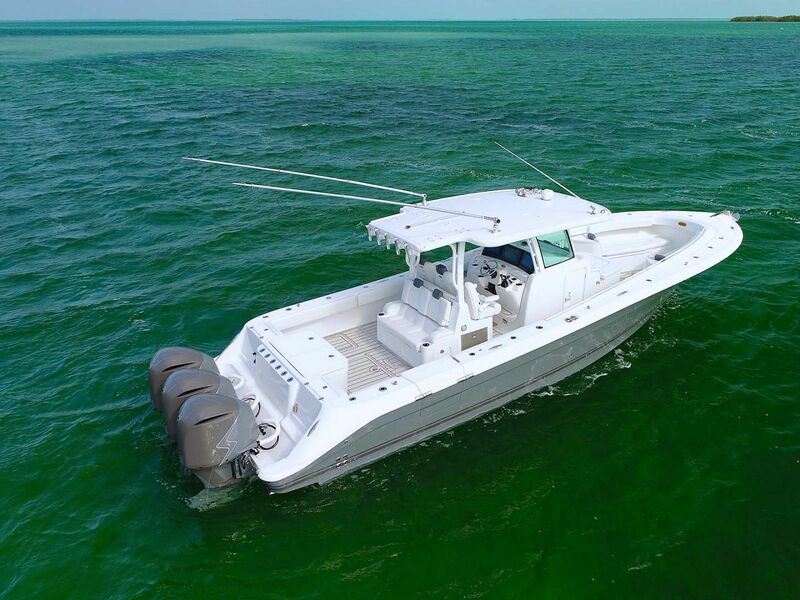 With a 526-gallon fuel capacity and a top cruising speed of over 60 mph, this center console yacht is perfect for a quick outing with friends or a long day at sea. 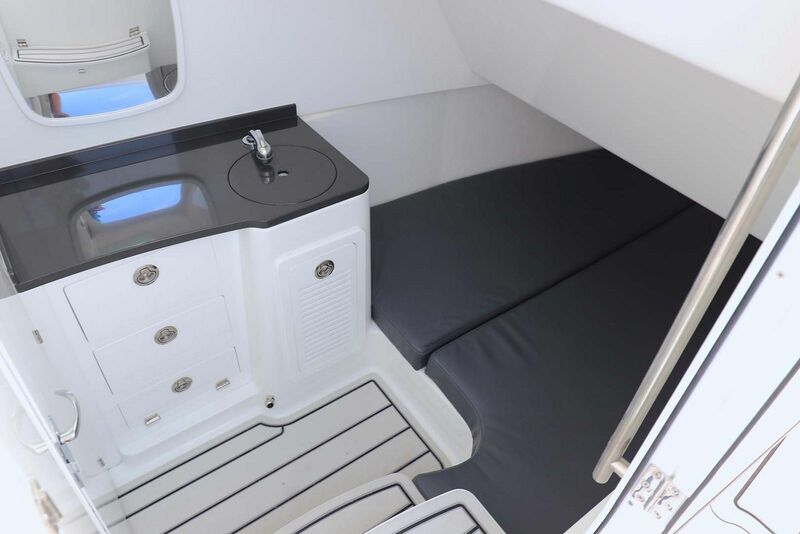 Like all HCB center console yachts, the Speciale standard features puts it far above its competition. It is time to quit being ordinary and start being SPECIALE. 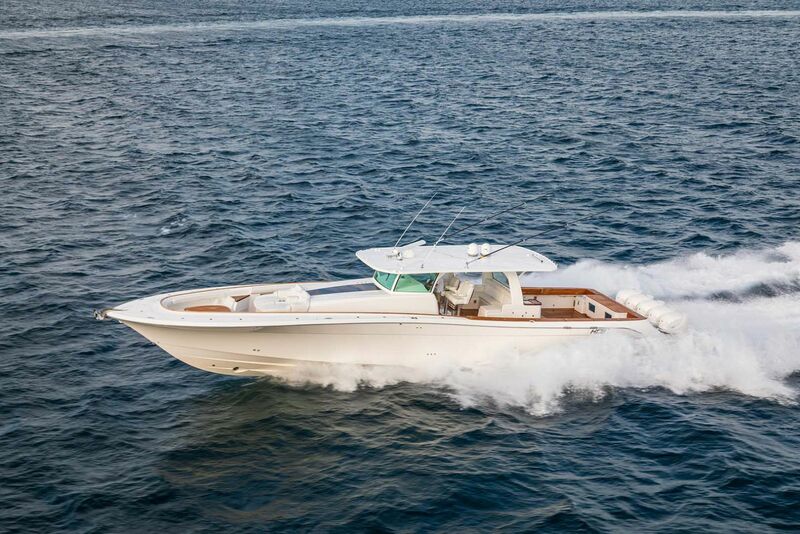 Boating Magazine created a complete video review of the new HCB 39 Speciale. 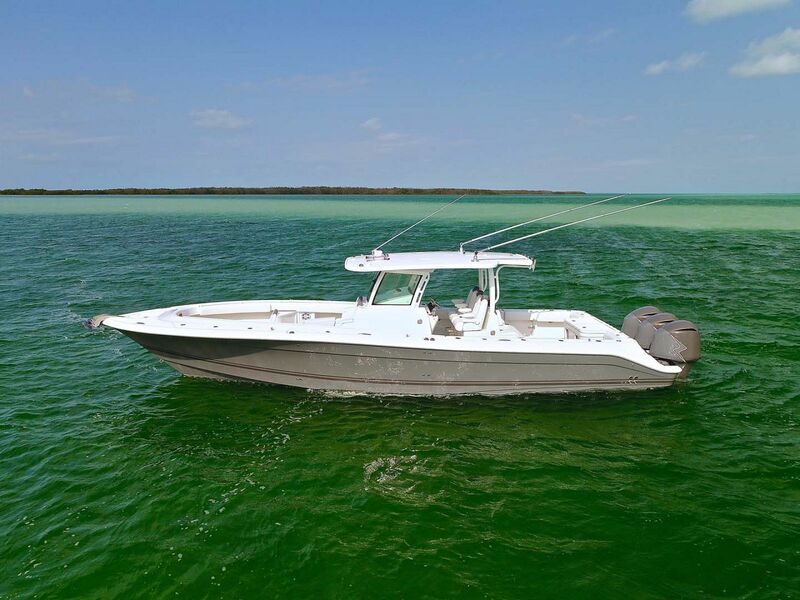 HCB Yachts released this product review video of the new 39 Speciale. 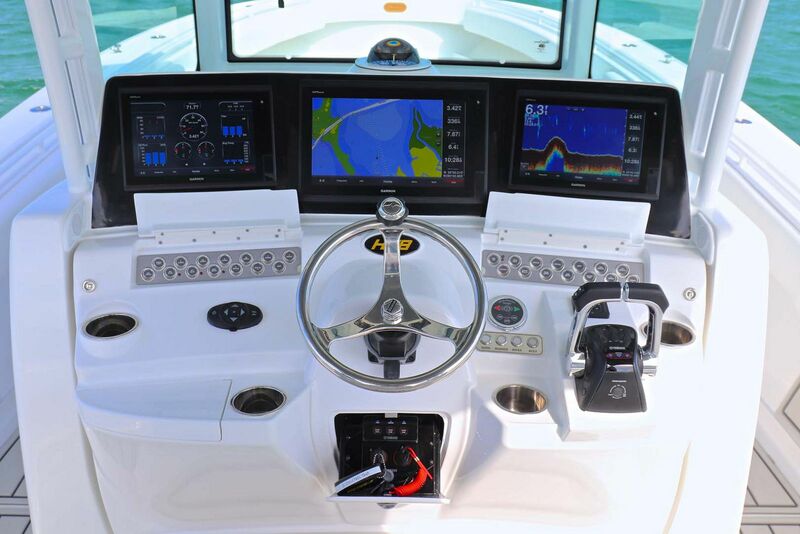 How will you use your HCB 39 Speciale center-console yacht?